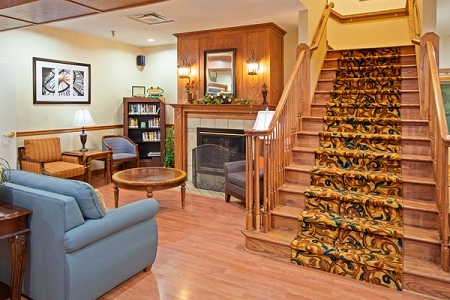 Pull off of I-40 and enjoy a restful night’s sleep at the Country Inn & Suites® by Radisson, Knoxville West, TN. 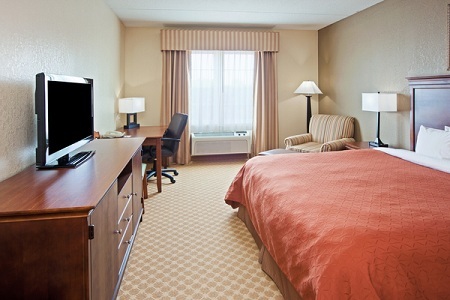 Explore downtown Knoxville, just 22 minutes from the hotel, or attend a football game at Neyland Stadium. For entertainment within minutes of the hotel, enjoy a picnic at Concord Park, tour the historic town of Farragut or shop at Turkey Creek. Thanks to our convenient location off I-40, you can easily take day trips to Great Smoky Mountains National Park or Dollywood. 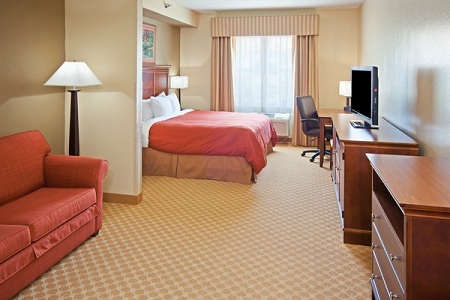 If you’re looking for more space, book our One-bedroom Suite featuring a choice of one king or two queen beds, plus a separate living area with a sleeper sofa. Don’t miss out on our free, hot breakfast featuring Belgian waffles, muffins, cereals and a selection of hot items that rotate daily. In a hurry? Grab a yogurt and a piece of fruit for the road. For lunch or dinner, try one of the nearby restaurants like Cru Bistro & Wine Bar. Enjoy award-winning small plates and entrees ranging from fish tacos to skillet cornbread, bistro pizza and sushi selections. Turkey Creek – Hunt for great deals and fun souvenirs at this shopping mall, located only five minutes from the hotel. After a day of bargain hunting, you can visit one of the many on-site restaurants for a bite to eat. University of Tennessee Gardens – Drive 20 minutes from the hotel to immerse yourself in the fragrance and beauty of the blooms, trees and shrubs on display at the University of Tennessee Gardens. Three Rivers Rambler – Sit back and enjoy a scenic view of the Tennessee River and Knoxville farmland from the Three Rivers Rambler steam train. Afterward, enjoy local shopping or a bite to eat at one of the stores or restaurants located around the depot.